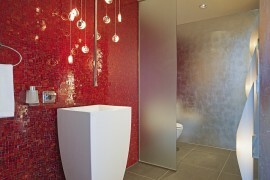 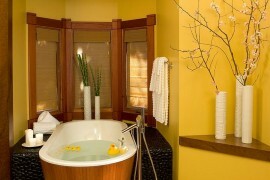 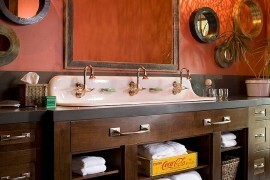 The idea of creating an eclectic bathroom can be both fun and daunting at the same time. While many homeowners enjoy the cool mash up of colors, textures and even eras that the eclectic style brings, pulling it off with elegance can be a hard task indeed. 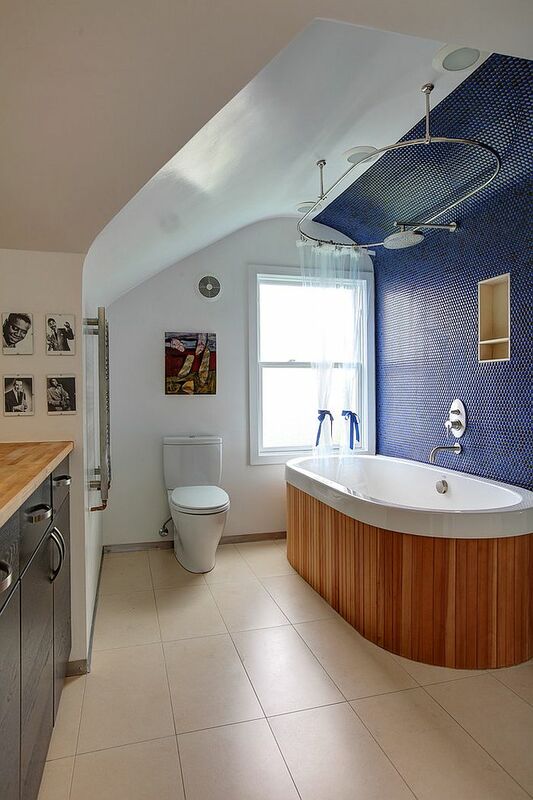 Add to this the growing desire of homeowners to have a soothing bathroom that combines a touch of modernity with their chosen design style, and the design assignment becomes even more perplexing. 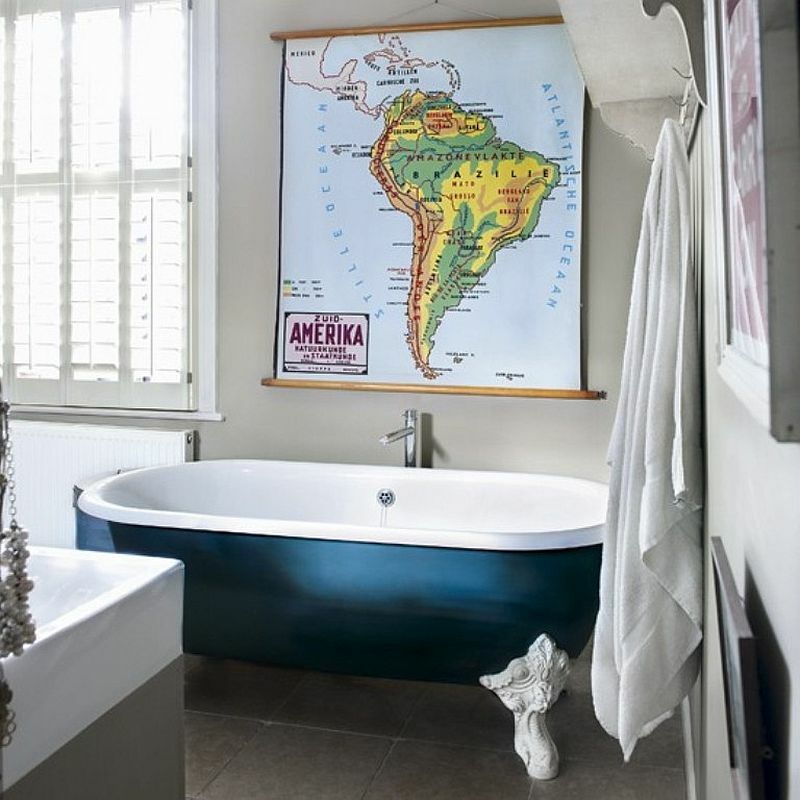 But today, we have a collection of 15 fabulous eclectic bathrooms that will provide you inspiration and ideas that you can put to use. 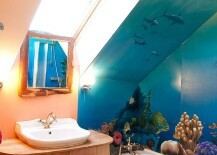 And the best part is that they all come with a healthy dose of blue! 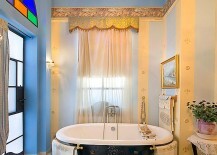 Why blue you ask? 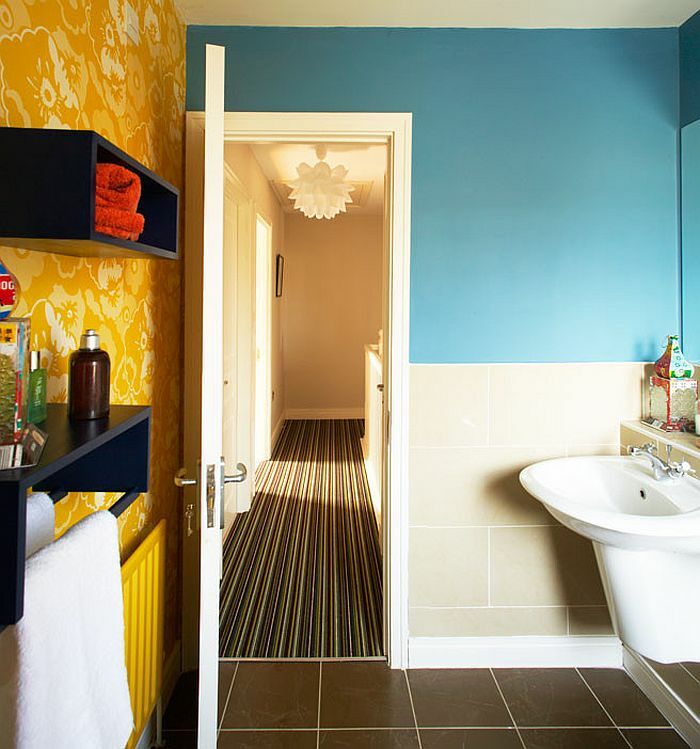 For starters, it is the most preferred primary color in the bathroom and combines beautifully with calming neutrals and white. 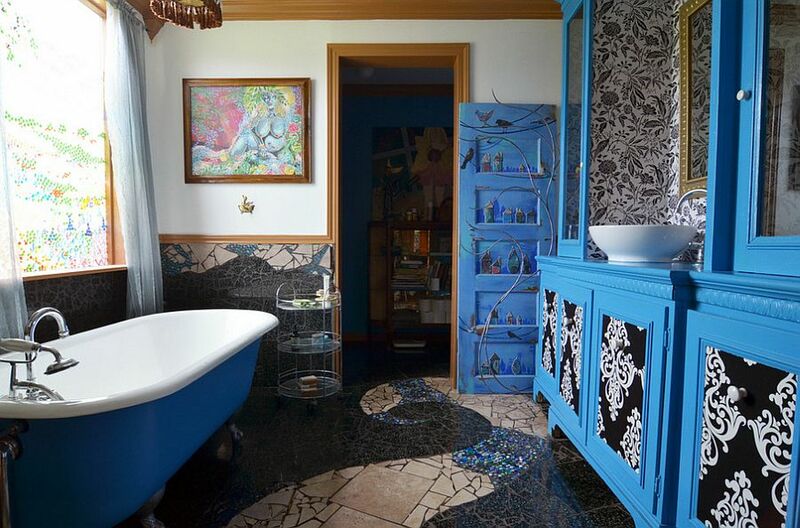 Add to this the many exotic shades it offers, and blue eclectic bathrooms are absolutely perfect for those who want a playful, elegant and stylish bathroom that reflects their personality. 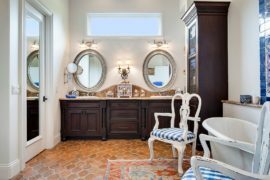 One of the trademarks of eclectic style is the ease with which it allows you to mix various design styles stretching across different decades and even eras. 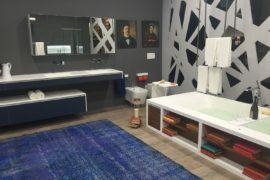 While this gives you great variety in terms of the accessories, vanity, mirrors and lighting that you can pick for the eclectic bathroom, it also requires a careful transition between the contrasting elements. 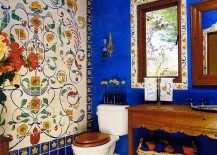 Color is the easiest way to bind these various styles together, and blue does this with eloquent ease. 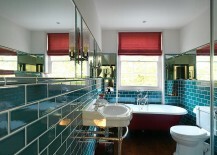 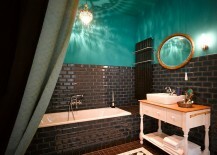 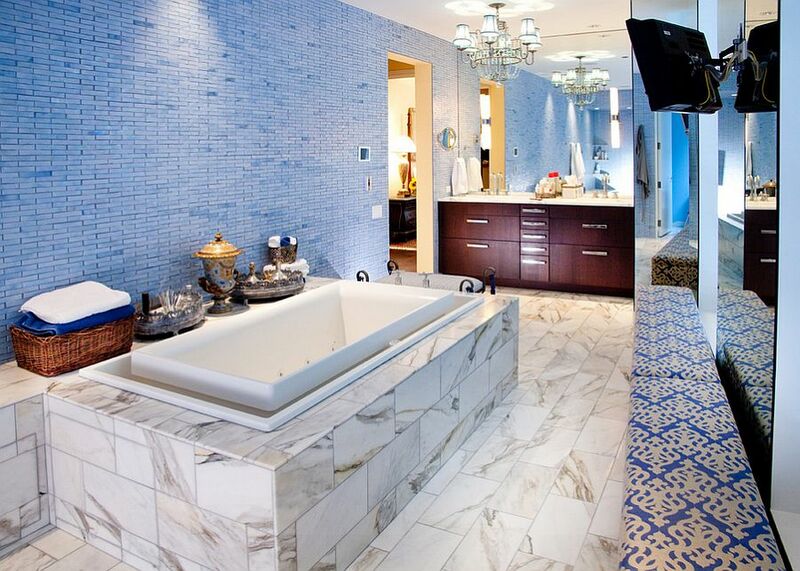 In bathrooms, walls covered in light blue tiles usher in color while keeping it classy. 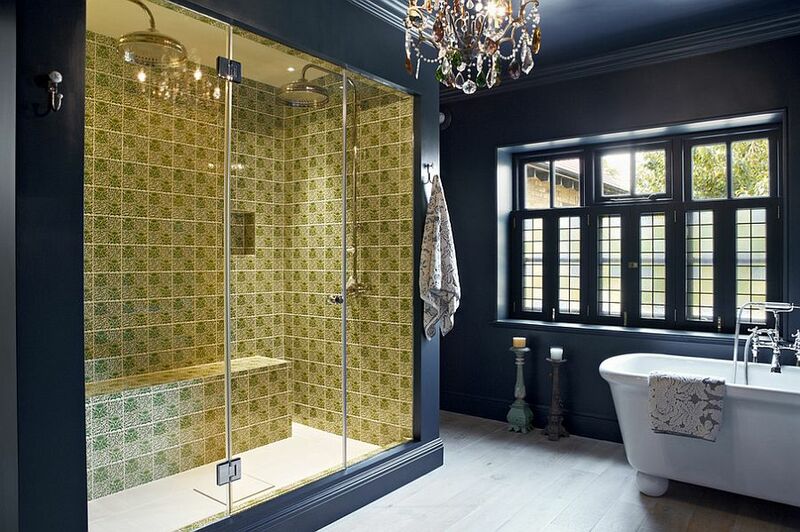 If you want to go beyond tiles, then think of wallpaper, which is making a grand comeback in 2015. 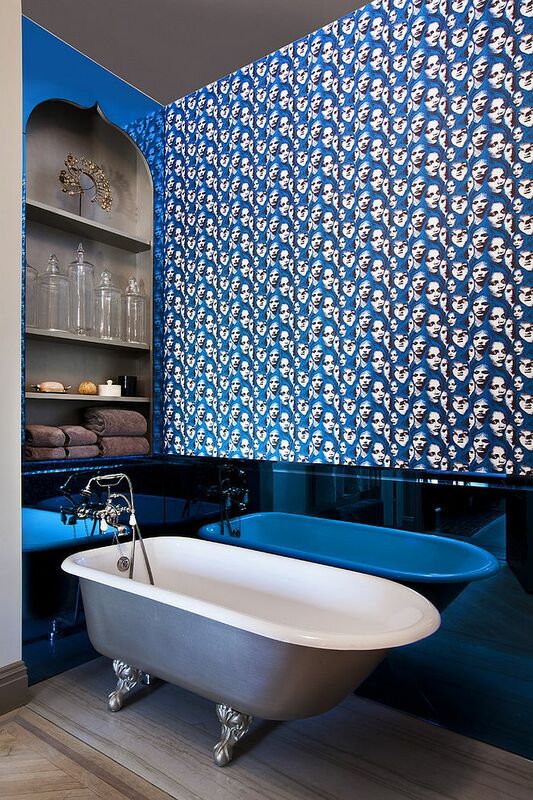 Wall murals, floor tiles and even the ceiling can add blue to the eclectic bathroom without taking over and making it visually overwhelming. 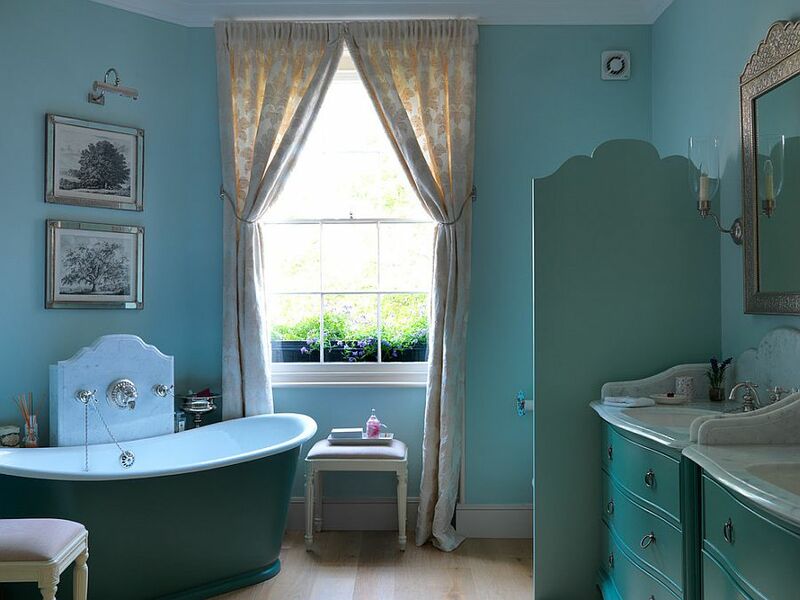 Repeat this hue in bathroom fixtures, vanities and other choices you make, and you have a creative, individual and timeless eclectic bathroom. 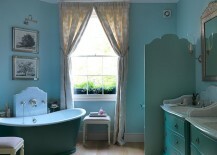 The great advantage of picking a color like blue is the many shades that it offers and the ease with which one hue transitions into the next. 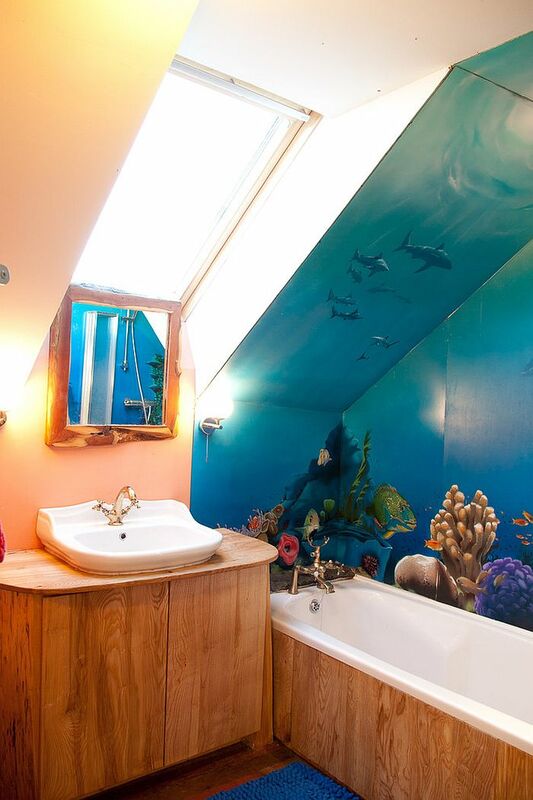 So how does this play to your advantage in the eclectic bathroom? 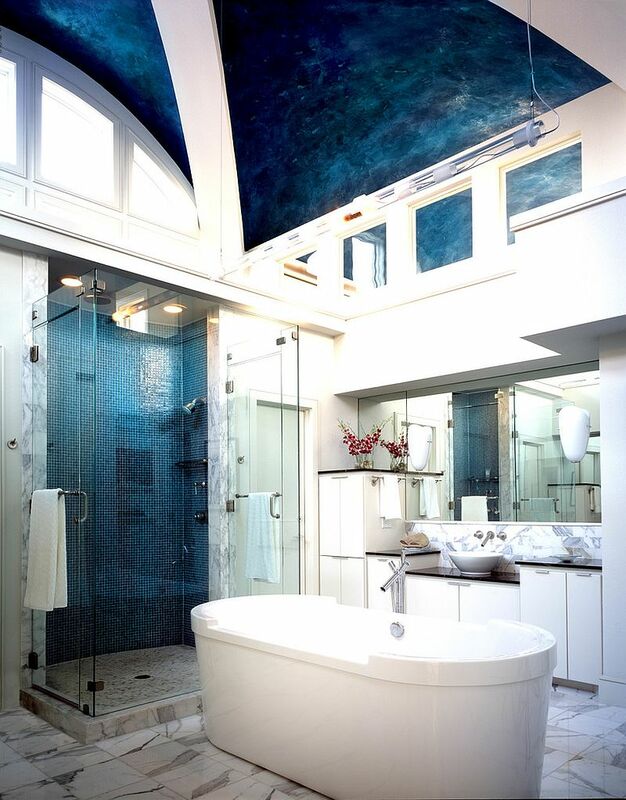 Since bringing contrasting textures and design elements is hard, you can use this transition in shade to bind them together effortlessly. 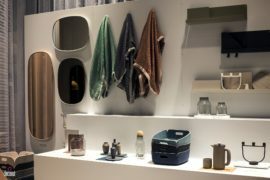 You are not restricted to just one ‘hard to find’ hue while shopping for a bathtub, fixtures or accessories, making your task all the more easy. Shades like teal and turquoise can bring in a hint of green, which can be used to transition over to green accessories in the bathroom! 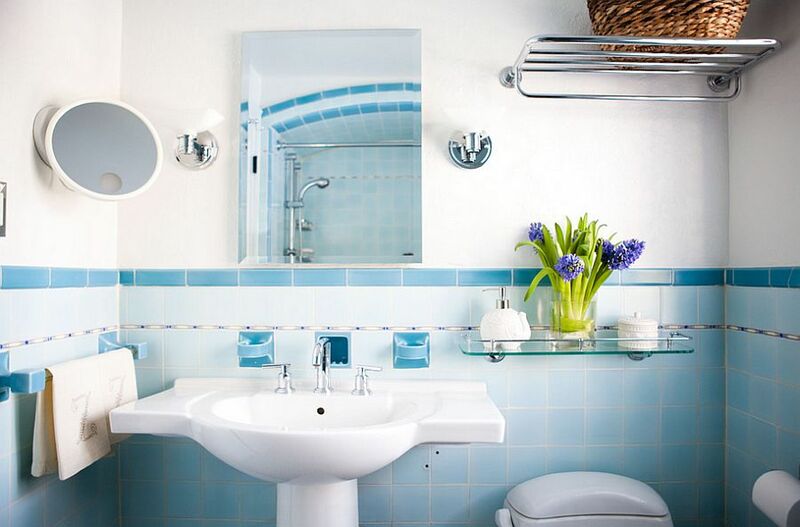 Designers suggest sticking to a basic white backdrop while shaping an eclectic bathroom, as it aids in creating a soothing, timeless space. 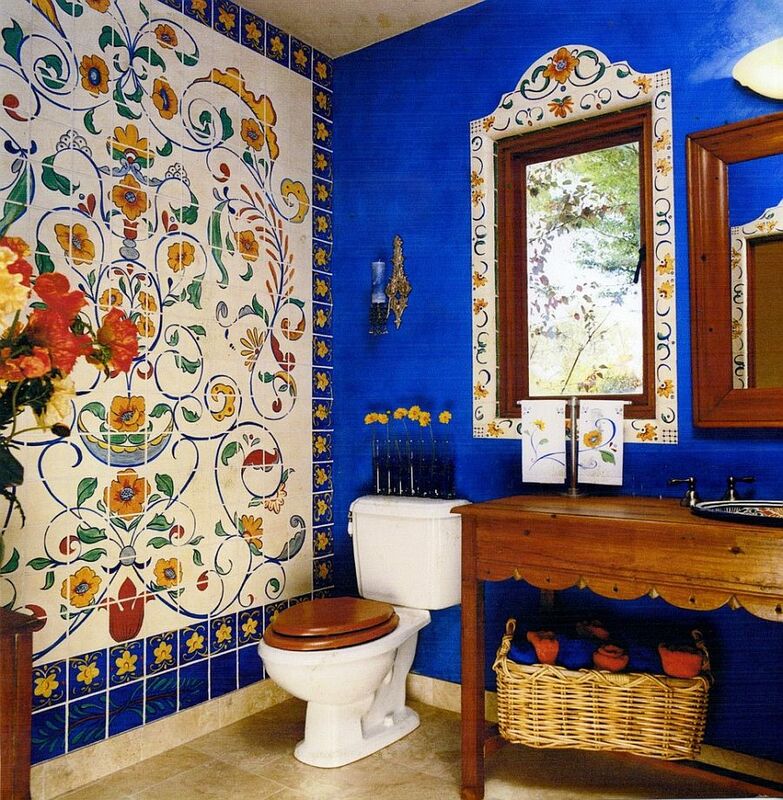 Blue is the perfect partner here, as it works brilliantly with white and does not seem out of place or gaudy, even in the tiniest of bathrooms. 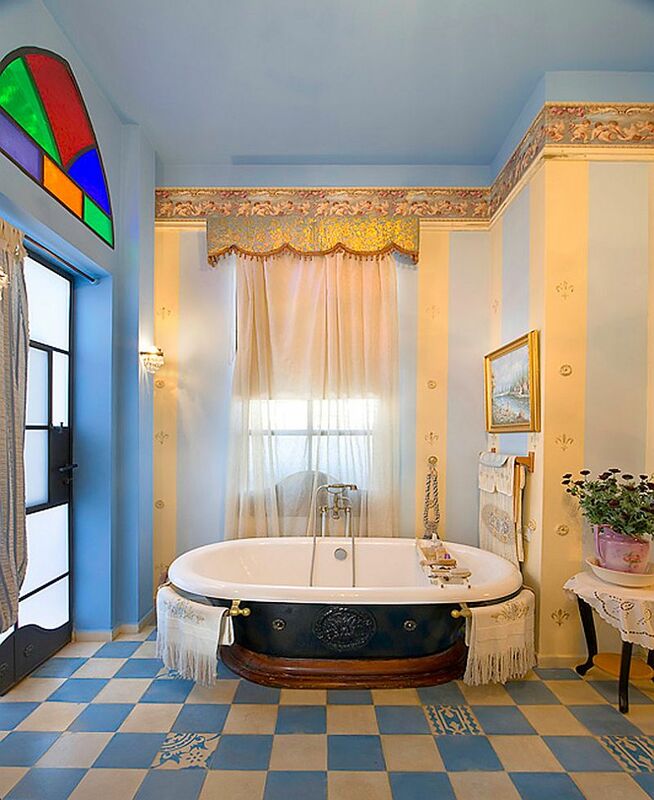 With vintage bathtubs and retro design taking over in last few years, think of a colorful bathtub in blue (claw-foot or standalone) to spice up the setting. 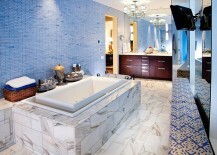 If white does not work for you, you can even opt for an all-blue backdrop for a monochromatic look.